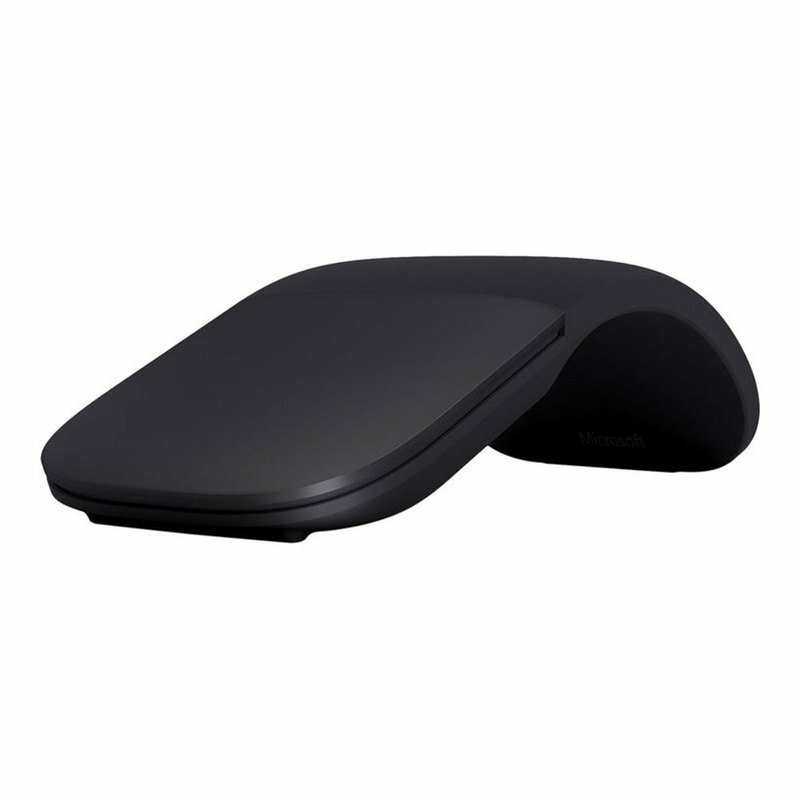 The black Arc Mouse from Microsoft connects wirelessly to Windows-based systems via Bluetooth technology to provide clutter-free mouse cursor control. The Arc features a large touch-sensitive surface that lets you perform left and right clicks as well as scroll vertically and horizontally. For travel, you can snap the Arc flat and easily slip it in your pocket or bag, without the bulk of a traditional mouse. When in use, the Arc pops up to fit the natural curve of your hand. Additionally, the mouse has a wireless range of up to 32' and is powered by two supplied AAA batteries.